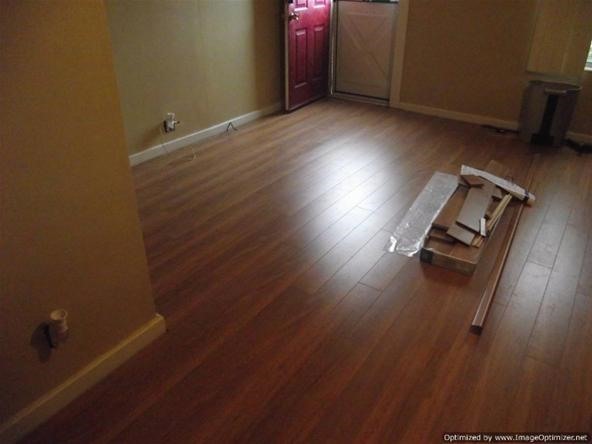 This laminate flooring is very impressive as far as the surface is concerned. My client actually used a sharp screw and tried to scratch it, and we could not see anything. It is rated as a AC3 which is mid grade as the grading system is from AC1 to AC 5, 5 being the best. I have installed many laminate floors rated at AC3 and they didn't come close to this laminate. This laminate is 12mm thick, 5 inches wide by 47 7/8 inches in length. All four edges are beveled which resembles real hardwood flooring. It has a 2mm attached underlayment. It also carries a 25 year warranty and states on the box that it can be used for light commercial. The cost was 1.74 a square foot online and came to 2.32 a square foot delivered. This is a very good price for this product. The underlayment alone can cost anywhere from .25 to .60 cents a square foot if purchased separately. And not having to pay sales tax is another savings. 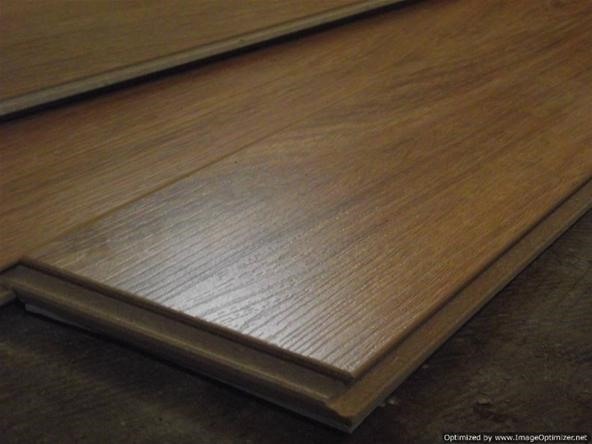 Here you can find additional information on this laminate flooring. I will recommend this laminate flooring to as many of my clients as possible. The locking system is a drop and lock which means you don't have to tap the ends together. You can see the beveled edges in this photo below.